A mobile launcher for a ballistic missile has been detected on the move in the eastern part of North Korea, Japan’s NHK television said Thursday. The report didn’t specify the precise area, but the region is home to the Tonghae launch site. Tonghae was North Korea’s first missile launch center and is often used to fire off missiles into the Sea of Japan. 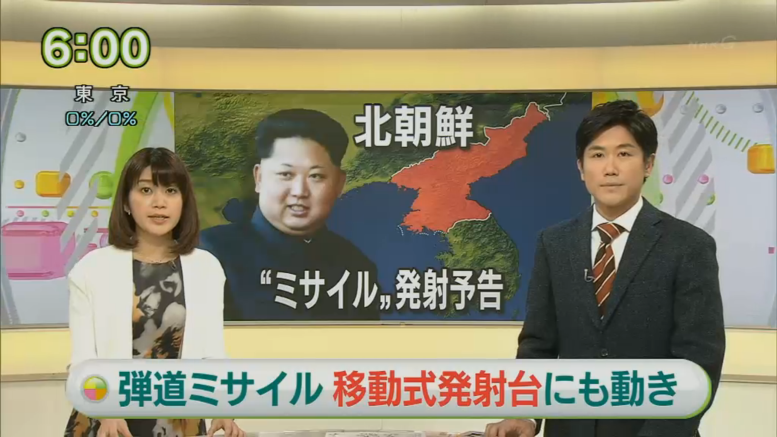 Tonghae is on the opposite side of the country to the newer Sohae satellite launch center, from where North Korea plans to attempt to launch a satellite in the coming days, so the NHK report raises the possibility that North Korea could be planning both a satellite launch and ballistic missile test. Coming so soon after the country’s nuclear test, it would represent the clearest sign possible to the international community that it doesn’t care what they say or think. On Wednesday, the 38 North website published new satellite images that show increased activity around rocket processing buildings at Sohae.